A call for help to save a threatened species of turtle off the West coast of Africa led to the formation of this community education-focused project – and one which appears to be helping to turn around the turtles’ fortunes. Many attempts had been made to protect the loggerhead turtles on the islands off Cape Verde, but it was the shift in focus from military protection to education which is at the heart of this captivating project. The use of local students is one of the many eye-catching features of this project. The idea of placing students with ‘foster families’ in local communities, to spread the message, proved to be an inspired move. The Turtle Project focuses on the turtles nesting in the Cape Verde Archipelago. Levels of poaching are so high it seriously affected the viability of the species. The project worked with the local population to communicate the importance of turtles within communities from generation to generation. The local people involved ranged from residents of a tiny village to students from the university. The energy and enthusiasm driving the various levels of engagement has started to see results, seven years on. Locals increasingly see the value of the turtles to the local economy. They see their relatives directly benefiting through work. This meant that, where previously armed guards had patrolled the beaches, these were being replaced by unarmed volunteers. It is only this year though that the project team will start to begin to understand what difference the project has made to the survival of the turtle population as the latest nesting figures are compiled. But the signs are good, and a third year of rising population will hearten the team hugely. Patricia Rocha (coordinator at BiosferaI) in Santa Luzia as well as Christian Roder (director at Turtle Foundation) in Boavista. Replace repressive Non-Governmental Organisation (NGO) interactions – such as armed army guards monitoring the turtle population - with an approach that sees local communities protecting turtles in Cape Verde via long-term programmes based around innovative science and education. This was achieved by involving international and national communities in ‘citizen science’ projects, contributing to sampling and taking part in research. After seven years, this has resulted in some changes in attitude and behaviours. Worldwide, seven marine sea turtle species remain, and all are listed in the International Union for Conservation (IUCN) red list. Protecting this highly migratory species is complex. Cape Verde is a developing country, and killing turtles for meat has now become more of a tradition rather than a need for survival. The problem reached crisis point when in 2008 up to 3,000 turtles were killed on the main nesting island of Boavista alone – prompting a call for help from scientists. A science-driven, education-led programme offered new opportunities to reach local communities and protect turtles. By involving local communities as ambassadors for the project the team were able to build a sustainable reservoir of knowledge that contributed to protecting this emblematic species of Cape Verde. Combining state-of-the-art technology with high-level, hands-on education, the project includes local people in research, to influence attitudes and raise awareness of the consequences of small turtle populations. At the start of the project, many NGOs were present in Cape Verde, all significantly contributing to the reduction of poaching activities through enforcement of legislation and awareness activities. The team introduced a new focus on research, believing it could play a significant role by developing a citizen-science project that would involve local university students and local communities. They designed a programme that would rely on training of young people as well as key community leaders. The aim was to establish a number of ambassadors who can then increase the reach and capacity of the project by themselves recruiting community volunteers to patrol the beaches, protecting the turtles from poaching and collect important data. Importantly, the ambassadors were the peers and family of those the team wanted to influence the behaviour of. By engaging local people in the research, it was possible to communicate the importance of turtles to them. Working with NGOs allowed the project to complement existing conservation programmes, connecting them with further volunteers able to assist their programmes and reach new people to spread their messaging. Involving higher education students with the project also created a cohort of highly educated conservationists, who may then take up high ranked positions in the government or NGOs. It is hoped that their knowledge and understanding of the challenges facing biodiversity may increase the likelihood of appropriate conservation decisions. This is particularly possible in Cape Verde where education programmes are of governmental priority. Local students were also provided with hands-on practical training to conduct activities which fed into live research – such as DNA sampling and monitoring of parasites. 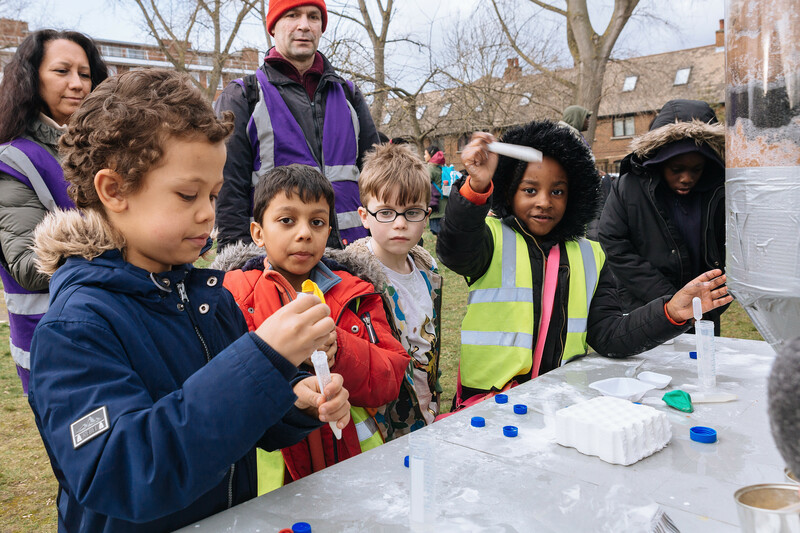 They then undertook placements within local communities in a type of ‘foster family’ approach, so that the students could get the message about conservation across the grass-roots. The students’ work extended into patrolling the beaches, collecting data, helping teachers raise awareness in the classroom, and organising activities to highlight the importance of the turtles for marine conservation. The team undertook a quantitative evaluation of the project recording number of participants, samples collected and events of poaching. They have now collected more than 4500 samples overall since 2010, the largest dataset dealing with marine turtles published to date. Throughout the project, poaching intensity has dropped from several thousands of turtles found dead on monitored beaches in 2008 to a few tens in 2016 on beaches patrolled by partners. This result confirms some success for the combined efforts made by all collaborators on the beaches alongside the education and public engagement programme. Students, members of local communities, collaborators and participants of a practice sharing workshop, including the Ministry for Environment and local scientists, were also asked to provide anonymous feedback to evaluate and suggest improvements to the programme. At the start of the project, the number of turtles’ nests had been declining to around ~12,000 each year (representing fewer than 4,000 nesting females yearly). By 2015/16 the figures have almost doubled with ~20,000 nests. But the numbers do fluctuate naturally, so 2017 will be a test year and a third successive increase will suggest the impact of the research is reflected in that trend. Training is important and clearly sought by students and communities. The desire to learn and gain education is a strong motivator to encourage people to engage in research and conservation. The NGOs already had rich data which they shared, with some 5,000 turtles being monitored via microchips in their flippers. The ongoing conversations and workshops with NGOs have, and continue to, allow them to share best practice and improve the effectiveness of turtle protection programmes. Even though they are unified by the same goals, misunderstandings can happen between scientists and conservationists. If the project were to start now, the team would emphasise the need for better communication with NGOs to clearly describe its goals and demonstrate the synergism, rather than the competition. The programme has now reached its seventh year and the goal is to make it self-sustainable, with significant impact on the long-term for the turtle population. The team has an ambitious goal of working towards a legacy of enabling university students to take high positions not only in NGOs but also in governmental institutions. The model of mobilising ambassadors and having foster homes provide home-stays during their placements has been so successful that the project aims to share it through advertising the benefits to different cultures and sociological conditions. (The project team has extended this programme to students of our own Masters degree in Aquatic Ecology at Queen Mary University of London. 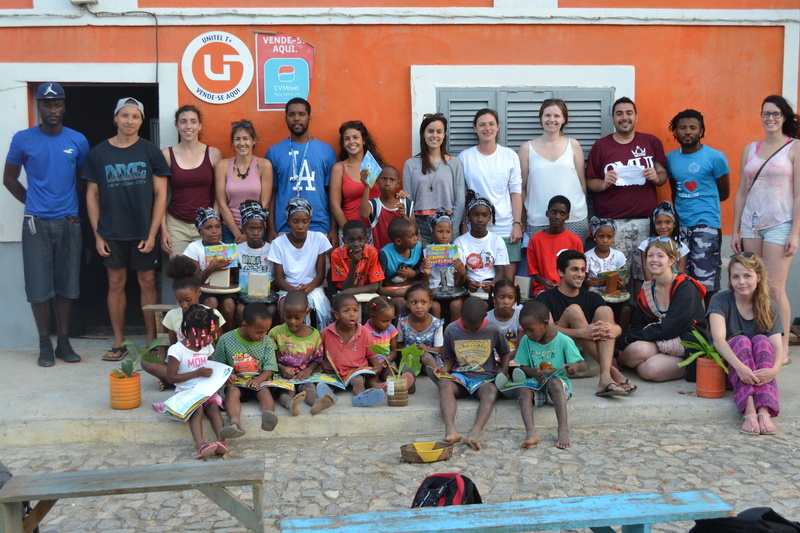 All students spend 2 weeks with local Cape Verdean communities to understand the challenges and success of conservation biology). The accessibility of the model for conservation programmes makes it reproducible worldwide. The effect of high quality training to get the conservation message across has resulted in the drastic reduction of poaching. The number of turtles returning to nest in Cape Verde has stopped decreasing and even achieved a last decade high in 2016. There have been several published scientific papers now published with more to come. For further information, please contact Dr Christophe Eizaguirre or listen to our interview with the project team.